The Bauchi State Governor -elect, Senator Bala Mohammed Abdulkadir has alleged connivance by officials of the outgoing government and some “unscrupulous civil servants”, to allegedly award spurious contracts in order to cripple the incoming administration. 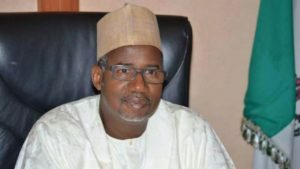 Dr. Ladan Salihu, the Spokesman to the Governor-elect, while addressing a Press conference at the Nigeria Union of Journalists Secretariat (NUJ) Bauchi on today, Thursday, .added that the outgoing administration is also planning to incur new debts, as well as, make huge payments from last- minute Banks. According to Dr. Salihu, “these unpatriotic actions are designed to sabotage and cripple the incoming administration at its inception”. Dr Salihu said that the Governor elect, Senator Bala Mohammed is also aware that the outgoing government intends to hurriedly employ 8000 unqualified teachers. He said that the outgoing government is planning to also announce the implementation of the N30,000 recently approved national minimum wage in order to heat up the polity and transfer massive financial burden on the incoming administration. He ‎further alleged that, “we are aware that part of the Paris loan grant received from the Federal government amounting to over N4 billion currently in the warehouse in the SUBEB will be hastily disbursed in a matter of days to cronies, phony companies and the like, supposedly for the renovation of schools “. The Spokesman alleged that there is a deliberate and systematic attempt to move state assets to unknown destinations, sometimes in broad daylight. Dr Salihu who said the civil servants involved in the systematic theft will not go unpunished warned banks not to facilitate unsubstantiated loans at this time as the incoming administration would not be obliged to make repayments for irregular liabilities incurred in suspicious manner. approved the appointment of a Ten-man committee that will see to the successful transition of power from the outgoing administration of Governor Mohammed Abubakar to the incoming government. 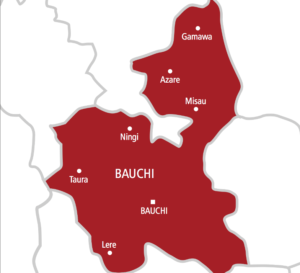 This was contained in a Press release signed by the Spokesman to the Governor-elect/Head of Transition Media Team, Dr Ladan Salihu and circulated to Journalists on Thursday in Bauchi. Meanwhile, the office of the Governor-elect has approved the appointment of a Ten-man committee that would be responsible for transition of power and inauguration of the incoming administration. The Committee which is categorised into four include the transition committee, Inauguration committee, transition media team and transition secretariat. The Transition committee according to the release has Senator Adamu Ibrahim Gumba as Chairman, Alhaji Umar Barau Ningi, Secretary and Alhaji Aminu Yapeco, Deputy Chairman. The inauguration committee has Senator Abdul Ahmed Ningi‎ as Chairman, Hon Tanko Dutste, Deputy Chairman and Alhaji Maula Aliyu as the Secretary. The Transition Media Team includes Dr Ladan Salihu, spokesman to the Governor elect as Head‎ and Alhaji Maigari Khanna who is to serve as Deputy Head of the team. Others, according to the release are; Pharm Samaila Burga and Professor Sani Malami who are to serve as Head and Deputy Head respectively in the Transition Secretariat.